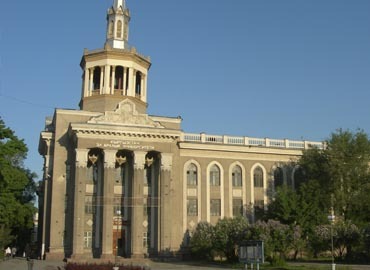 Jalal-Abad University was founded on 2 April 1993 as a public institution designed to provide medical education at an international level. 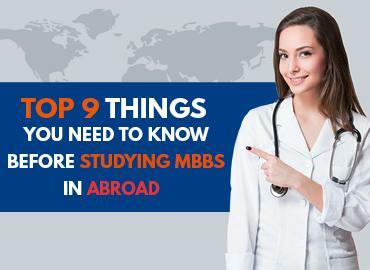 The University provides a great experience, traditions of preparing highly qualified specialists in the area of medicine and other fields. Presently, approximately 13,000 students are studying at the University; out of which over 4500 students are international students, more than 700 teachers work at it (including 15 doctors of science & professors) and 116 candidates of science & docents. University has adopted the multi-level system of education with four levels of training- Certificates or Diplomas, Associate Degrees, Bachelor Degrees, Master Degrees, Doctorate Degrees. The Faculty of Medicine at the University believes in educating and inspiring the medical aspirants for becoming an exemplary doctor, physician or scientist. They are the leaders of medicine, scholars in discovery and followers or observant of innovative technology for improving the health and well-being of all. 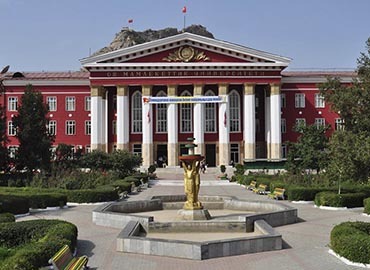 Jalal-Abad University’s faculty of medicine is counted as one of the eminent faculties among all other universities in the country. Right from the excellent student-teacher ratio to affordable cost for tuition and living, from comfortable stays to modern infrastructure with the adoption of updated technology; Jalal-Abad State University covers it all with an outstanding remark. Indian students are accommodated in the University hostels. The stay at hostel room is very comfortable and hygienic, also easy on the wallet. 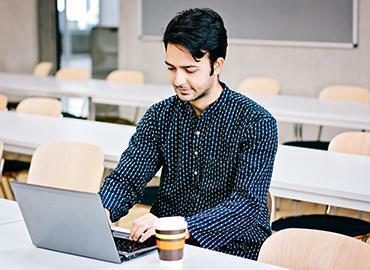 The ambience provided by the University’s management in its hostels is very good for studying and living. The cost of living including all the overhead expenses is quite affordable for the students pursuing medicine at Jalal-Abad University. 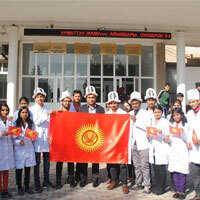 Jalal-Abad Medical University has become the most popular and preferred location of international students, especially Indian students for staying & studying in Kyrgyzstan. 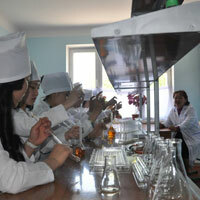 University believes and encourages the comprehensive development of all the enrolled students. The University organizes various cultural, fun activities and sports activities are the tradition of the University that is followed on a regular basis. Library of the University has students’ access to several medical journals and prolific books. It has a large collection of International Scientific Magazines and the faculty encourages the students to take part in Research Oriented Studies. The city, which is also spelled as Dzhalal-Abad, located in Southwestern Kyrgyzstan. It is situated at the North-eastern end of the Fergana Valley along the Kogart River Valley, in the foothills of Babash Ata Mountains, very close to Uzbekistan border. Jalal-Abad city has great facts from the history that Kyrgyzstan’s main branches of Silk Road passed through Jalalabad. It was a host to travellers for a thousand years. The economy of the city relies on Agricultural production and Industries includes papermaking, etc. Jalal-Abad has a hot, dry-summer continental climate. Rainfall in winters is quite frequent than in summers. People in Jalal-Abad commute with land transports usually like Railways, Buses, Shared & Private Taxis, and Minibuses. The region of Jalal-Abad is known for its walnuts & scenic beauty. Local attractions include Arslanbob Waterfalls, Sary-Chelek Nature Reserve and lake, Town square, etc. The city is famous for orange trees and palm trees. The famous cuisines of Jalal-Abad are Afghan Jalalabad Chapli Kabob, Seafood, etc. Best food chains of Jalal-Abad are Chaikhana Jalal-Abad, Café Elnura, Shirin Foods, etc.